Liversedge's game against Goole at Clayborn on Tuesday was postponed. 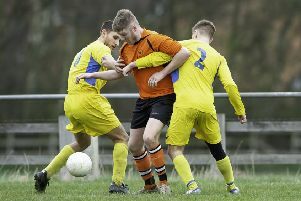 Liversedge went down 4-2 away to Maltby Main last Saturday before being denied the chance to bounce back when Tuesday’s home game against bottom side Goole was postponed. Mason O’Malley became the latest player to join Sedge on a deal from the Huddersfield Town Academy and he slotted straight into the side to make his debut against Maltby. The visitors made a great start when Emile Sinclair put them ahead after just six minutes and Sedge continued to pile on the pressure in the early stages. Liversedge were unable to stretch their lead and it was Maltby who equalised with the first of Jordan Turner’s hat-trick after 15 minutes. A period of stalemate followed with the best other chance of the first half coming when Maltby clipped the crossbar from a free-kick as it remained 1-1 at the break. Matthew Moore broke the deadlock to put Maltby 2-1 ahead after 52 minutes. Turmer added his second goal after 71 minutes and produced a beautiful finish soon after to complete his hat-trick. Rhys Davies pulled a goal back in injury time but it wasn’t enough to prevent Sedge suffering defeat. The loss leaves Liversedge 15th in the table, 11 points clear of third-bottom Hall Road Rangers but Tuesday’s postponement denied them the chance to put further daylight between the relegation zone ahead of this Saturday’s long trip to Scunthorpe to take on Bottesford Town.